"Holiday music is special because it has such a nostalgic feel to it," said the co-founder and CEO of 300 Entertainment. "A good holiday song done right can stand the test of time." As an example, he points to Carey's 1994 mega-hit "All I Want for Christmas is You." The bouncy ditty (complete with ringing bells) joins traditional tunes such as Nat King Cole's "The Christmas Song," in having sold millions of copies for decades. Both songs are currently onBillboard's Holiday 100 Songs chart and remain perennial favorites. To unwrap the gift of seasonal R&B standards, consider soulful songs such as "Rudolph the Red Nosed Reindeer" by The Temptations and Donny Hathaway's horn laden "This Christmas," released in 1971. "You can always get people up and dancing with the classics," said Pamela `DJ PChris' Hampton. An East Coast deejay, she's rocked the parties of NBA ballers, spun at major in-store fashion events, and more. "Something up-tempo like "8 Days of Christmas" by Destiny's Child is great," she added, citing their cheeky take on the "12 Days of Christmas." And who can resist Kurtis Blow's "Christmas Rappin'"? Holiday love songs such as the lush Boyz II Men ballad "Let It Snow" featuring crooner Brian McKnight, are a good choice for those cozy evenings by the fireside or perhaps gazing at the tree. "I really like "Santa Baby" by Eartha Kitt," said Hampton of the 1953 standard whose sample lyrics include: "Santa honey, I want a yacht and really that's not a lot." Boney's Funky Christmas by Boney James Warner Bros. The experts say don't be shy about putting new songs into your holiday rotation. Motown legend Smokey Robinson has a new EP, "Christmas Everyday." Demo Taped, a 19-year-old from Atlanta signed to 300 Entertainment, is known for electronic pop, but has recently released "Christmas Just Ain't Christmas," a hit originally performed by the O'Jays. 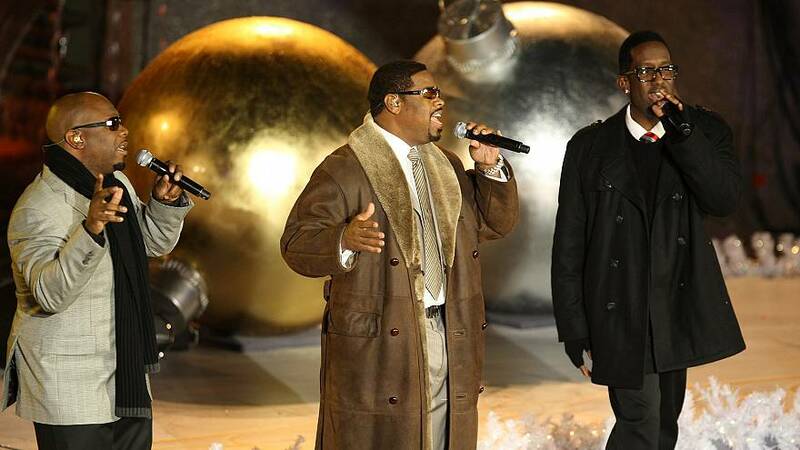 Meanwhile, Dru Hill recently dropped their newest album, "Christmas in Baltimore". And Grammy and Tony Award-winning vocalist Leslie Odom Jr., who co-starred in Broadway's "Hamilton," just gave fans a deluxe version (with three new songs) of the jazzy "Simply Christmas" EP in October. And the holiday musical spirit isn't lost on younger generations who are accustomed to Spotify, YouTube, and Pandora. Brandon McClary, son of The Commodores co-founder Thomas McClary, is a Howard University student and aspiring music mogul who interned this past summer with Atlantic Records in New York City. His musical tastes are eclectic and he enjoys a wide range of genres, including holiday music. "I stream it or occasionally listen to the radio," he said. His older brother, Ryan Reckords, is an emerging hip-hop artist. Raised in a large, musical family, McClary appreciates instrumentation and intricate arrangements. Some of his holiday faves pre-date his generation, among them, the Jackson 5 rendition of "I Saw Mommy Kissing Santa Claus." "I think a lot of millennials are listening to some of the classic songs," he said.